What do eyes say about health? Believe it or not, they say quite a bit. From stress to diabetes, abnormalities in your eyes and vision can show us a world of signs about our physical condition. Of course, don’t try to figure out these things on your own. If you have any worries about your eye health, simply speak to your optometrist. But for the curious, we’re breaking down some of the common flags that our eyes give us. 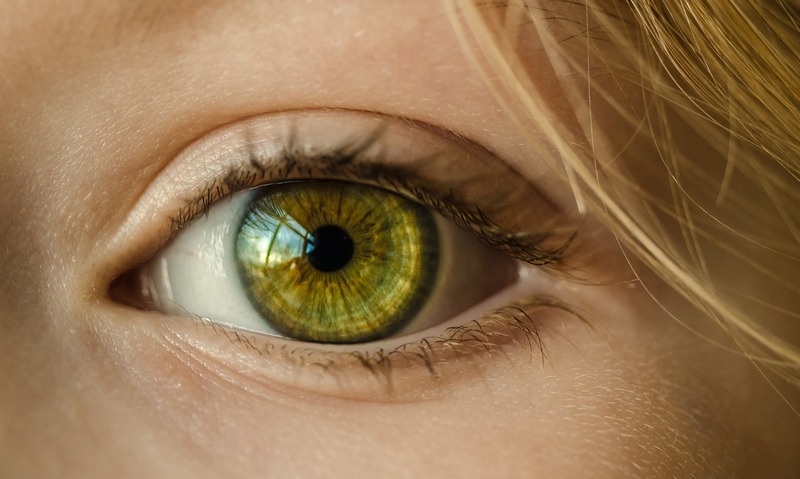 You might think of eye twitches as something you only see mad scientists do in movies, but they’re actually much more common than it seems. Having an eye twitch can be quite annoying, but it’s not the end of the world. Sometimes, you might just be too stressed. That’s right. Most people do believe that eye twitches come from stress, and there’s quite a bit of truth in this. If you think that’s the case, avoid stress for as long as you can, and cut out caffeine. Over time, you should see your eyes relax. If only one eye is twitching, you might want to see your optometrist for a diagnosis. There may be some more serious issue with that particular eye. Did you know that about 1 out of every 3 adults has high blood pressure? Even though it’s common, it’s not something to take lightly. High blood pressure can lead to heart attacks, strokes, and more, but lucky for us, proper health management can help avoid these issues. Many people might not know they have high blood pressure though, and that’s where our eyes come in. During an annual eye exam, an optometrist can point to signs of blood pressure issues or hypertensive retinopathy, a disease that comes from high blood pressure. This is another great reason to make sure to have your annual eye exam. Hypertensive retinopathy can cause significant damage, but it’s easily treated if an optometrist can tell you that you have it. Blurred vision is often just a sign that you need to wear glasses or contacts, but in some cases, it may be a sign of something more worrisome—diabetes. People with blood sugar that is too high or low may start to have blurry vision. The simple treatment for this is to lower or increase their blood sugar. Swelling in the lens of your eye from high levels of blood sugar is often the cause. This can be one of the first signs of diabetes, but other diseases like glaucoma or macular degeneration could be causing it as well. Make sure to speak to your optometrist and your doctor about any new vision issues. Although it’s not the most common symptom, stroke victims might notice extreme and sudden vision loss while the attack is happening. Blurry vision, loss of vision, or double vision may all be signs that a stroke is about to happen. Other symptoms of a stroke are speech problems, confusion, intense headaches, and numbness. You can see plenty of issues from your eyes that have nothing to do with your eyes, but when your eyes are in pain, they will tell you too. Look at your cornea, and if you see white spots over top of it, you might have a corneal infection. This is nothing to freak out about though, as it is quite common, but make sure to speak to your eye doctor about it as soon as possible. This kind of disease is more common for people who wear contacts instead of glasses. Forgetting to wash your hands or using an old contact might trigger this infection. Of course, those who wear glasses should also look out for this issue. You already know this one: dark circles around your eyes means you need to sleep more! It’s because your eyes need fluid circulation, and not getting the proper amount of sleep can make it hard for them to get it. During the day, your blinking keeps the circulation going, but sleep allows your eyes to fully rest. This is also why your eyes may feel dry if you haven’t had enough sleep the night before. Red or twitchy eyes are sometimes a sign that you haven’t had enough sleep too. Sleep gives your muscles—eyelids included—time to rest. Neither of these symptoms is something to worry about as long as they go away when you get enough sleep. What Do Eyes Say About Your Health? After reading this article, you shouldn’t have to ask, “What do eyes say about health” anymore. Although you know, avoid trying to diagnosis yourself, especially with any serious eye or body diseases. If you’re worried about your eye health or need to see us for your annual exam, please schedule an appointment online with us!